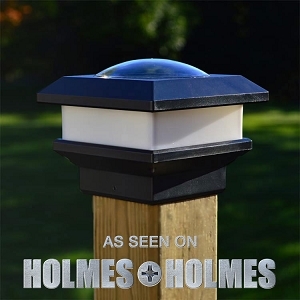 Are You Still On The Fence When It Comes to Solar Lighting? It's Time To Change Your Mind About Solar! 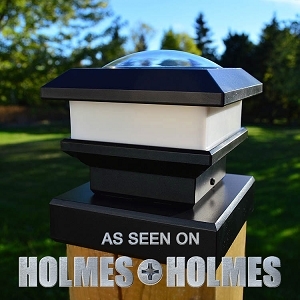 Add some pizzazz to your property and get the neighbours talking about your new free-light solar lights for gardens, decks, and hey - even fence posts! free-light does it right with solar technology that's built to last. Our high efficiency solar panels charge up to 4 times faster than others - and they're rated for 20 years of use compared to others that fade or yellow in no time. Say goodbye to wimpy solar lights and hello to wonderful free-light solar lighting products that use 6-36 LEDS to provide plentiful, natural soft light. Don't be fooled by cheap alternatives. They're using 1-5 LEDs resulting in light output that's disappointing and downright embarrassing. Embrace the power of the sun with solar lights from free-light and lower your electricity bills. Twinkle, twinkle little star... free-light shows you where you are! PCL6 6X6 Solar Post Cap Light (2pcs). Reliable, Bright Soft White Solar Light.